Easy as I thought, I grabbed the most obvious one I could find and created a simple class which could create a token for me. Sounded fairly easily but the used jar also had it’s dependencies which of course had to be available in Weblogic also for it to work. This is where the problem started as the dependencies seem to cause some class loading issues. 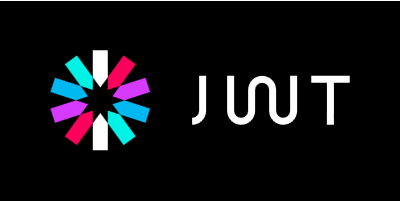 I tried another JWT implementation but this also seem to cause some issues. After some googling I found that Oracle also had JWT support looking at the page. The only thing I really couldn’t find very quickly was which jars I needed and where they where…. These jars contain all the classes you need to create a token and verify it in your Java development environment. The first three are already on your Weblogic classpath. The two Jackson also seem to be somewhere on the server although the documentation makes you think otherwise but I didn’t need to put the 2 Jackson libraries somewhere on the server to make it work. Stick this file under OracleHome\osb\config\xpath-functions along with the jar-file which contains your utility class and dont’t forget the osdt_restsec.jar as it is a dependency which seems to be needed at deploytime. 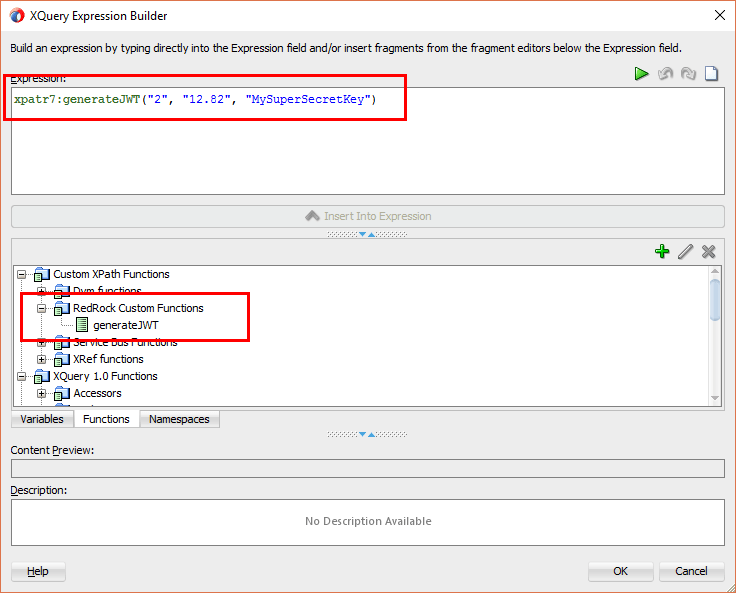 Then start JDev up and in XQuery Expression builder popup you should now see the custom xquery. Now just deploy you project to the servicebus and run a test. If you enable execution tracing you will see that the assign works and we get a token. This entry was posted in Java, Oracle Fusion Middleware, OSB, SOA Suite and tagged 12C, java, JWT, REST, soa suite by hugohendriks. Bookmark the permalink. Thanks for your post, i want to ask how we can use this token when i call rest web service that i create it by soa? Do you mean how can you use this token in SOA when sent from OSB to SOA? There are some out of the box solutions with JWT for Oracle Identity Manager I think. See https://docs.oracle.com/cd/E52734_01/oim/OMDEV/jwt.htm#OMDEV5779. You could also write your own custom OWSM policy to do the check for you. Thanks for response, we don’t have oracle identity manager. What i need when i create the token by this solution and i create a rest service in soa, i add jwt token as ws policy, so when i call the web service i pass the token but always get invalid token at log file. Is the custom policy in owsm solve this problem? If yes can you tell me how can i do that? And if not what is the solution? Over here https://docs.oracle.com/middleware/1221/owsm/security/choose-owsm-policy.htm#OWSMS3990 I think it shows that you can use oracle/http_jwt_token_client_policy for the client and then you should use oracle/multi_token_rest_service_policy for your service. Both should be configured using a csf-keys. I have no experience in this but I think your best bet is looking into this direction. If you want you can have a look here https://technology.amis.nl/2015/04/01/oracle-soa-suite-12c-create-deploy-attach-and-configure-a-custom-owsm-policy-to-report-on-service-execution/ for the custom owsm policy. what you mean about (oracle/http_jwt_token_client_policy for the client )? 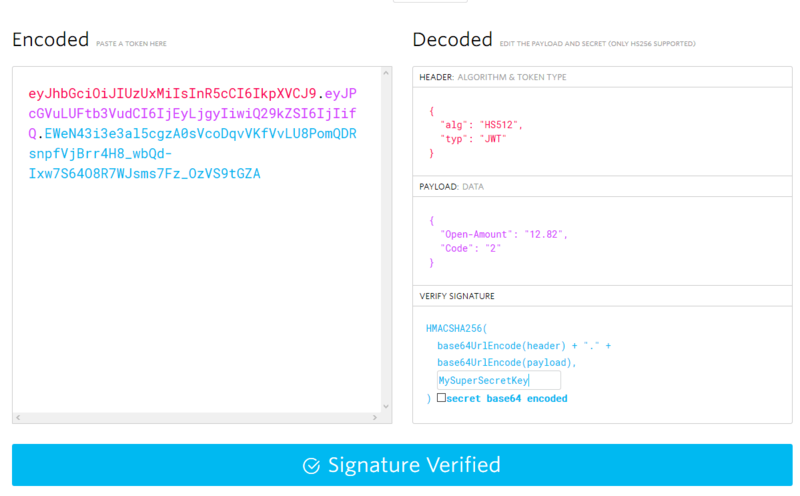 is that mean the client sent jwt token when call web service? In my scenario i have table in DB, i create DB adapter for that in reference section, then i create BPEL sync that invoke the DB adapter, and i expose the BPEL as rest service with name testSoaSelectRest , then i add ws policy oracle/http_jwt_token_service_policy in testSoaSelectRest. I need to pass the token to this service to work fine. You should be able to create a token and send it along to the soa. I never used the oracle/http_jwt_token_service_policy but I guess if you configure it correct…same settings used for genererating the token….it should work.